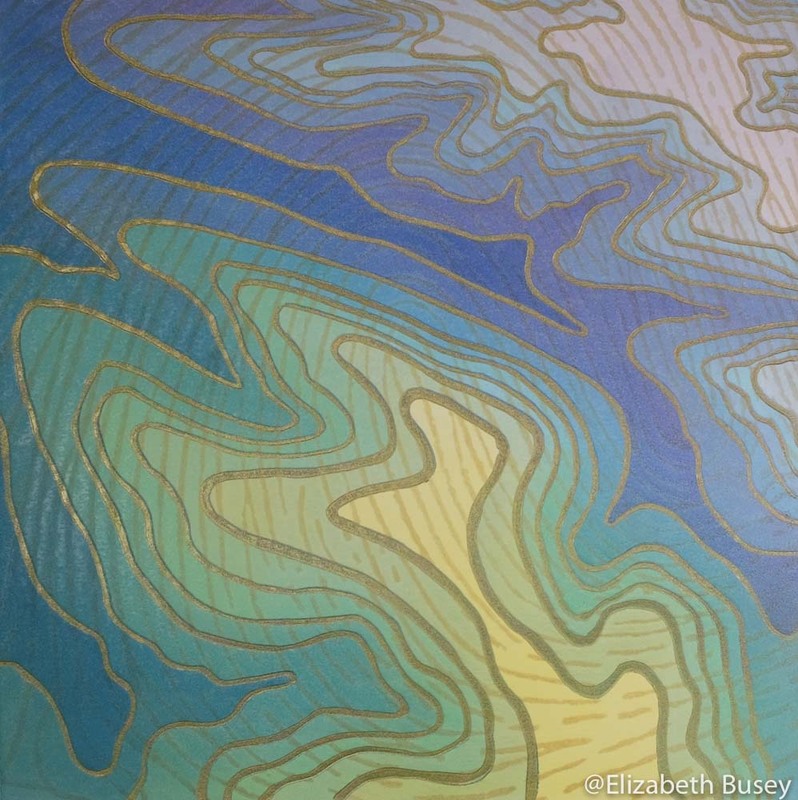 Sinuous gold lines and layers of color hint at ancient topographies. There seems to be something underneath these layers as well. Find out about underprinting, how I used it in this linocut and its real world roles.